Nicole Johänntgen (born 1981 in Fischbach, Southern Germany) is a German jazz musician (alto and soprano saxophone) and composer. Her musical career started at age six when she learned to play the piano; however, it only took a couple of years for her to discover her true passion – the saxophone. Cutting her teeth in her father’s ensemble the “Joe Fuchs Band” aged thirteen, she continued to enchant audiences as a member of several Jazz-Combos, including the “Saarländisches Jugendorchester”. With the founding of her quartet “NICOLE JO” in 1998 she established herself as a contender on the European Jazz Circuit. “NICOLE JO” has subsequently released seven CDs, the last of which is titled “20” (Nov. 2017). 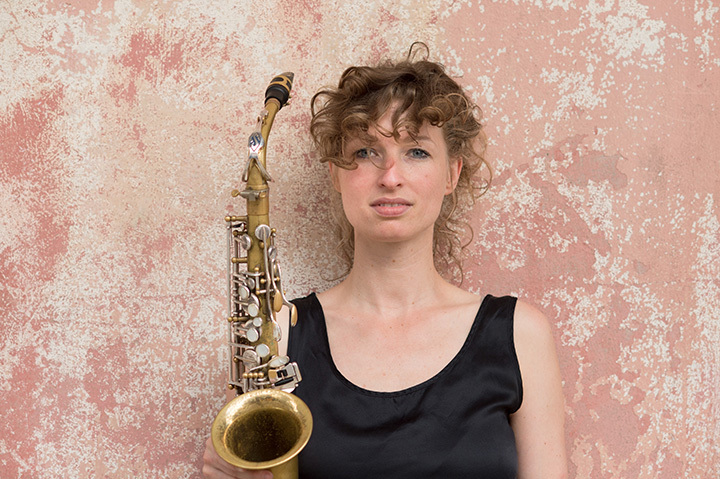 Nicole’s formal training was honed in Mannheim where she studied jazz-saxophone, composition and arrangement – with influential mentors such as Dave Liebman and Guest Lecturer Phil Woods – achieving a Master’s degree in 2006. Nicole made Zürich (Switzerland) her base in 2005, continuing as a band leader, composer, teacher and musical ambassador in Sweden, Norway, Iceland, China, Thailand, Indonesia and the U.S.A. In 2010 she lead a Masterclass at Washington University in Saint Louis (USA), as well as tutoring during the “woman’s music week” in Hessen, Germany. Additionally, from 2011 to 2013 she had her own radio show “Die rote Sieben” at Radio LoRa in Zürich. Currently she is on a CD-release tour with her Swiss Band “Nicole Johänntgen Quartet”, which was founded in 2014. The new album is called “Moncaup”, which is a village in southern France where her family roots hail from. “Moncaup” is a crossover between jazz, blues, and rock. Just like Nicole, the music is lively, emotional, and energetic.